The California-based midstream company Sempra Energy (Sempra) submitted a Pre-file application to the Federal Energy Regulatory Commission (FERC) for a liquefied natural gas (LNG) export terminal project at Port Arthur in Texas, USA. With this initiative Sempra is willing to capitalize on its experience acquired from the Cameron LNG project currently in construction at Hackberry in Louisiana, USA. After Cheniere Sabine Pass LNG project, Sempra was among the leading companies pioneering the entire technical and legal process to obtain all the approvals required by the US Administration to export LNG from the local shale gas production to free trade agreement (FTA) countries and non-free trade agreement (non-FTA) countries. In order to preserve the competitive advantage of the petrochemical industry, the US administration distillates the LNG export terminal projects approval carefully. The purpose is to prevent any shortage on the domestic market due to some flushing effects of the export markets where gas prices stand three to five times above the US market. In that respect Sempra Port Arthur LNG project reflects the confidence of the US companies in its local oil and gas industry to maintain this price gap in a long run to justify bullish investments in LNG export terminal projects. In 2004, Sempra had applied for a FERC approval regarding an import and regasification LNG Terminal in Port Arthur. In 2006, Sempra was granted of this approval, but then put its Port Arthur LNG Import Terminal project on hold in 2008 when shale gas emerged as the potential substitute to Middle-East sourcing. Since that time numbers of studies and documents remain valid to facilitate the new submission for a Port Arthur Export Terminal this time. In that respect Sempra Port Arthur LNG Export Terminal project will benefit from the 2,900 acres site ideally lying between Sabine-Neches Ship Channel and the Intercoastal Waterway. 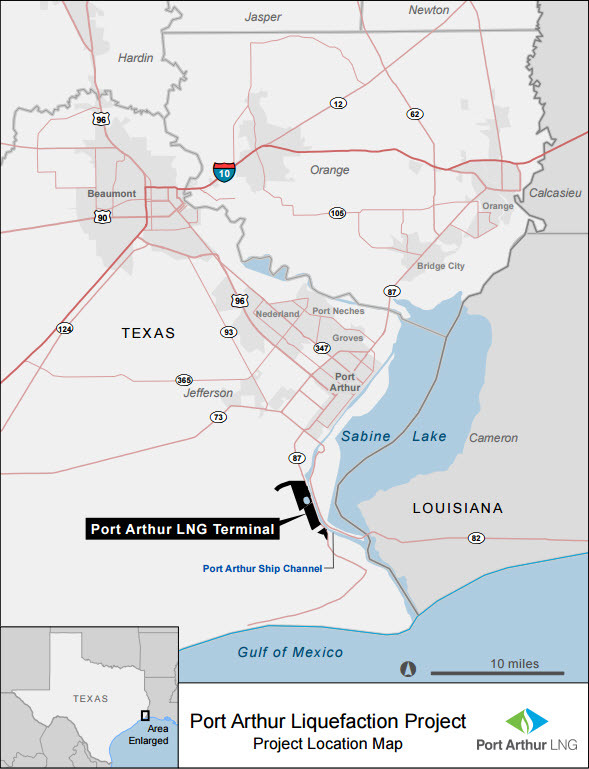 This location will allow Sempra to design the Port Arthur LNG project to treat up to 1.4 billion cubic feet per day (cf/d) for a production capacity of 10 million tonnes per year (t/y) of LNG. In respect with Cameron LNG experience, Sempra expects to complete the FERC approval and non-FTA authorization from the US Department Of Energy (DOE) at the end of 2016 in order to start construction on early 2017 for first shipments from Port Arthur LNG Terminal project in 2021. Most online loan lenders allow getting Payday Loans New Jersey without visiting a bank, straight to your bank account. But at the same time, it acts only with sexual arousal. Viagra has a number of advantages in comparison with injections in the sexual organ or other procedures aimed at treatment of impotency.